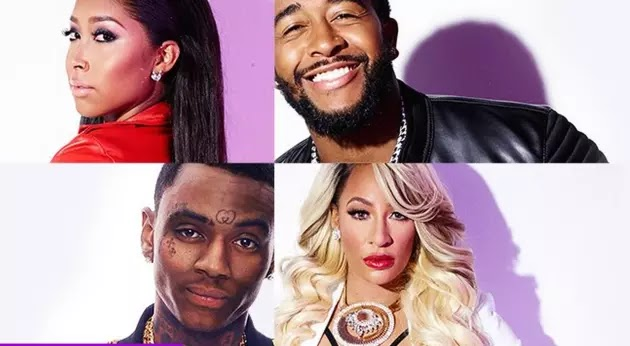 Fights, Side Chicks and Drinks Are Thrown in the Newest 'Love & Hip Hop Hollywood' Season 2 Teaser (Video) - Ooooooo La La! Love & Hip Hop Hollywood returns next month and I have the newest sneak peek of what you can expect from the upcoming Hollywood crew. In the newest teaser, it appears this season will be an explosive, drama-filled season with plenty of fights, arguing, and we get to see some new cast members. Hazel-E gets a drink thrown in her face by newcomer/celebrity blogger Jason Lee during a heated discussion. Model/singer Milan Christopher will also make his debut on this season as the first openly gay rapper on the show. We also see in the trailer, crazy Teairra Mari and Princess Love try and make amends. But, this doesn't last long as the two ladies fight. Ray J needs to come and handle his chicks. Also, Soulja Boy and Nia Riley are STILL together! But, there is a new side chick who causes trouble in their relationship. Uh oh! Love & Hip Hop Hollywood premieres September 7th at 8/7c on VH1.